In 2015, Andy was selected to the 2015-2016 GTLA LEAD Program, where he sharpened his leadership skills and pushed for trial policies protecting individuals’ rights. 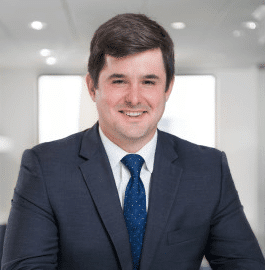 His leadership positions have included the GTLA New Lawyers Division and Legislative Committee, Savannah Bar Association Young Lawyers Division Executive Board, and Savannah Trial Lawyers Association Scholarship Chair. Andy is also heavily involved with the Kids Cancer Alliance, a non-profit organization based out of Louisville, Kentucky that fosters positive experiences and creates valuable memories for children fighting cancer and their families.